After the launch of Spaces,Google has more surprises for us,and they are ALLO and DUO! Let's talk about the messaging app Allo first.So,Allo is a smart messaging app,you might be having a thought that why they're calling it smart? Allo has Google Assistant in-built,so you really don't have to open any separate app to do things like searching for Restraunts nearby,sports score updates or any other Google search. The app due to Assistant will have Google Search,YouTube,Google Photos,Maps and even Google Translate which will really make a big good help while chatting with foreigner friends. So apart from that,Allo has also better privacy and security.Allo will introduce Icognito mode,in which end-to-end encryption for secure messaging is provided.In this mode a very liked feature is given i.e. control to automatically delete your msgs after a set time period.Private notification is a new feature that will keep your msgs notification private from others. And other things are there emojis,stickers,photo doodling(named Ink),text size control just with swipes by a feature called Whisper Shout. 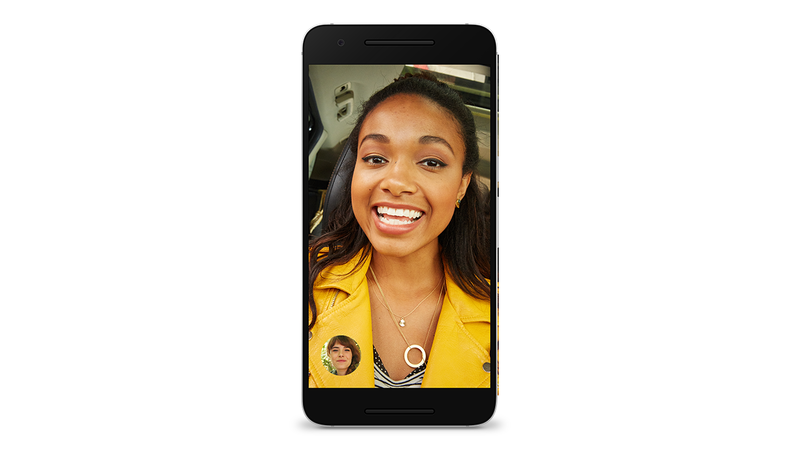 Now Duo,the video calling app. Duo is simple,fast and cool video app.Cool in the mean of its features. The app is going to have a very nice feature named "knock Knock" which will allow users to preview a live video of the caller on the other side before procceding to pick your call even.In the terms of security it will have end-to-end encryption.